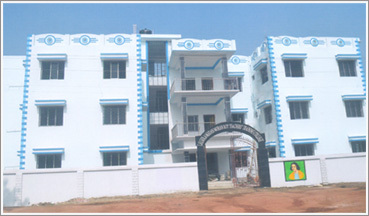 Lalgola M.M.R.T.T.C is a suitable place of learning and educational culture. It is established by Dr. Yasin Ali Education & Social Welfare Trust and the people interested in education of Lalgola and the adjacent areas with proper guide and supervision. Teacher education program at the basic level will make part of theory, practice teaching in school to achieve particular aim. These will help to become teachers to perceive the nature, Purpose and philosophy of basic education. Realizing of the philosophy of their people will prepare them to acquire competencies pertinent to stage. Specific pedagogy, curriculam development, its management of affair and evaluation will enable them to pedagogical analysis to the subjects they will teach in school. To develop skill for guidance and counseling this institution will also help learner to develop skill for guidance and counseling and enable them to nourish creative thinking for construction of knowledge to acquaint them with factor and forces affecting education system and class room environments. Whereas the physical education is a part and parcel of education system, it aims not only at building a sound health but also formation positive attitude towards life and world. This very trusty believes that curriculum development is a continuous process and requires system approach. It needs a system with a view to look at all ingredients simultaneouslycurriculumstrategies. Keeping in view all such segments, this trust with the stand by those who are ill-fated unfortunate.Our trust in trying with its best to turn back them to the light depending upon consciousness that our Murshidabad district might be above of destitute who are still dragging to step forward. The very aim of our trust is to enhance the standard of teacher education, professional and social status of teacher and to develop a sense of commitment into them.